Culinary collaborators Jennifer Cleveland and Eric Heath present an eclectic menu at Edwardsville's Cleveland-Heath. 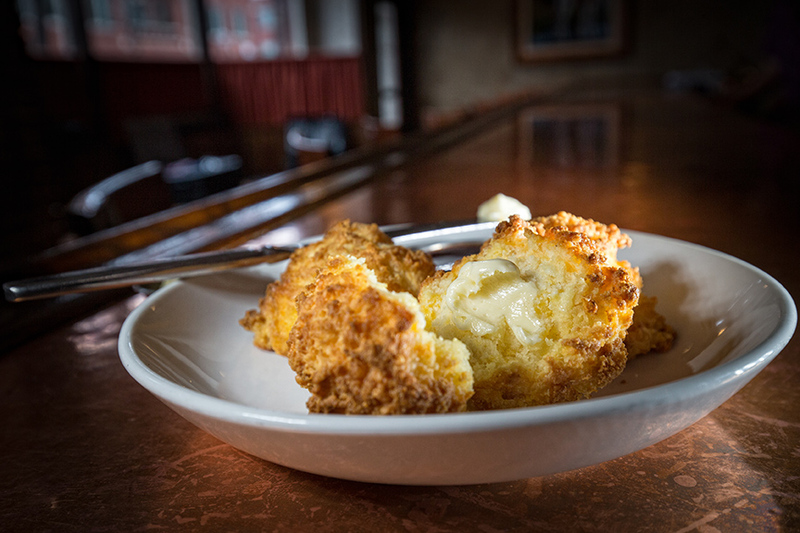 How do you describe a menu that starts with deviled eggs, ends with beignets and includes everything from quail to steak Wellington to a pork burger with smoked maple mayo? “It’s eclectic,” says Jennifer Cleveland. “We call it modern American. 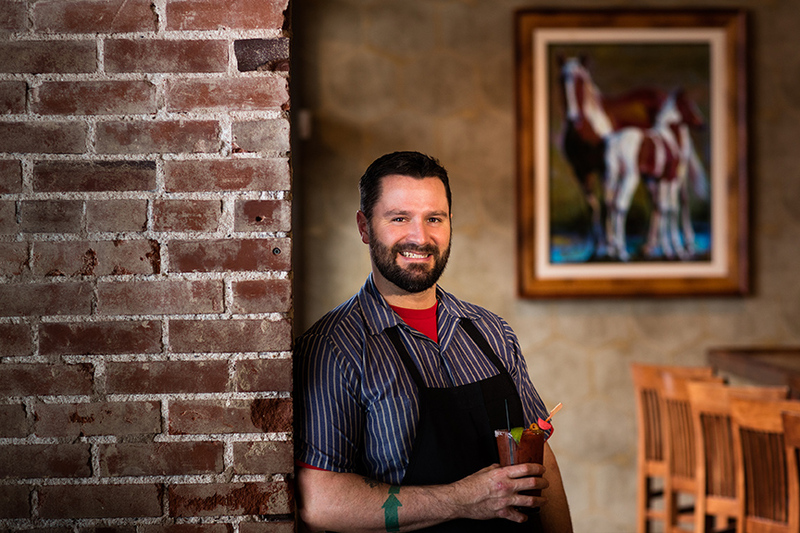 I think that allows us a lot of freedom.” Along with partner Eric Heath, Cleveland owns Cleveland-Heath in Edwardsville. Both are chefs; he runs the kitchen and her domain is the front of the house. “We have a lot of fun with the appetizers and different entrees,” she says. Their focus – and the restaurant’s motto – is “Gourmet Comfort.” The menu changes frequently, with dishes influenced by many parts of the world. Cleveland and Heath seek out the best proteins, such as hand-caught diver scallops from the Gulf of Maine and pork from Rensing’s family farm in New Douglas, IL. During the growing season, local farmers make deliveries to the restaurant’s back door. Chef Jennifer Cleveland of Cleveland-Heath will demonstrate these three dishes at the April Cooking School on April 5, 2016, at AUTCOhome from 6:30-8:30 p.m. For reservations, call 636-230-9640, ext. 27, or email [email protected]. 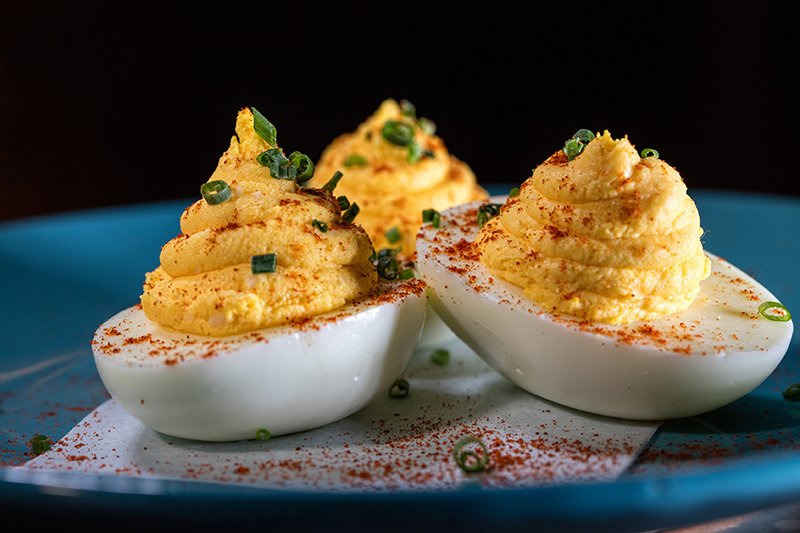 Deviled Eggs: Similar to traditional deviled eggs in technique, Cleveland-Heath uses the typical mustard, salt, mayo, however they also add Frank’s hot sauce and Parmesan cheese to the mix to spice things up. Cheddar biscuits: Grated extra-sharp cheese and a dash of garlic powder add a punch of flavor to buttery, baseball-size biscuits. 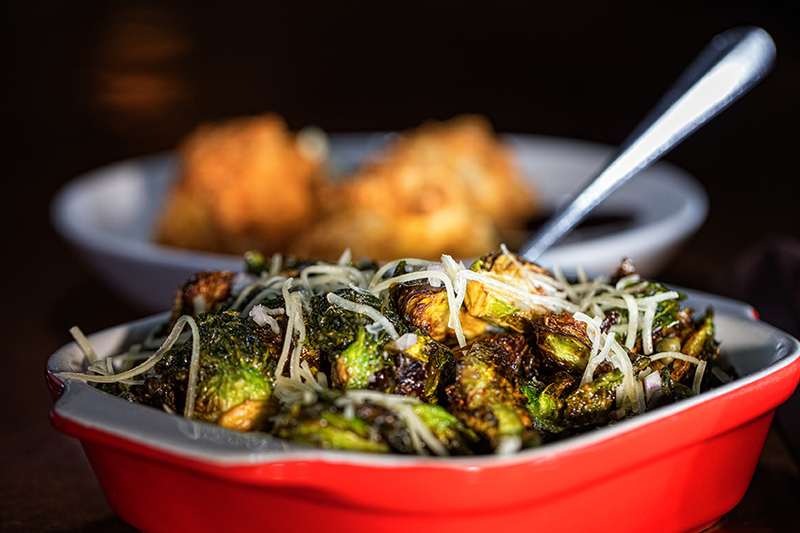 Brussels sprouts: “Probably everyone’s favorites,” Cleveland says. Like all the side dishes on the menu, they’re served in a size meant for sharing. The restaurant cooks them quickly in a deep-fryer, but home cooks can use a hot oven. 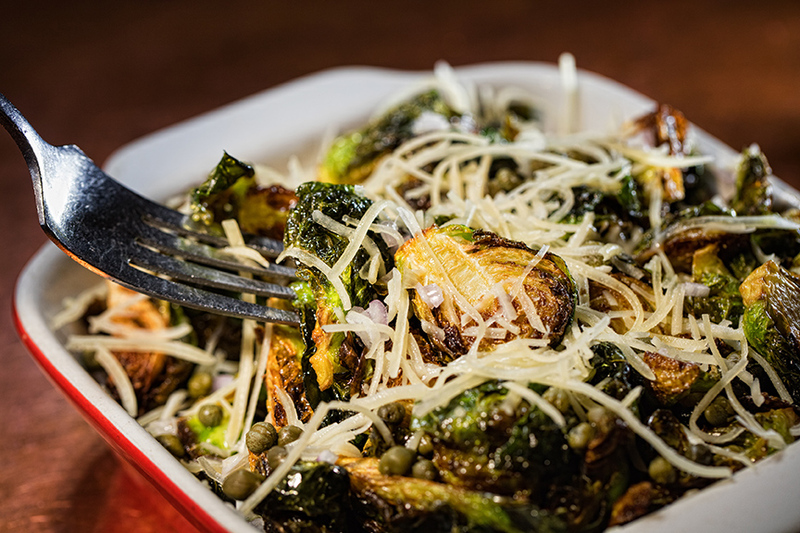 As soon as they’re cooked, the sprouts are tossed with Parmesan cheese, capers, shallots and the house lemon vinaigrette, made with lemon juice instead of vinegar and olive oil. 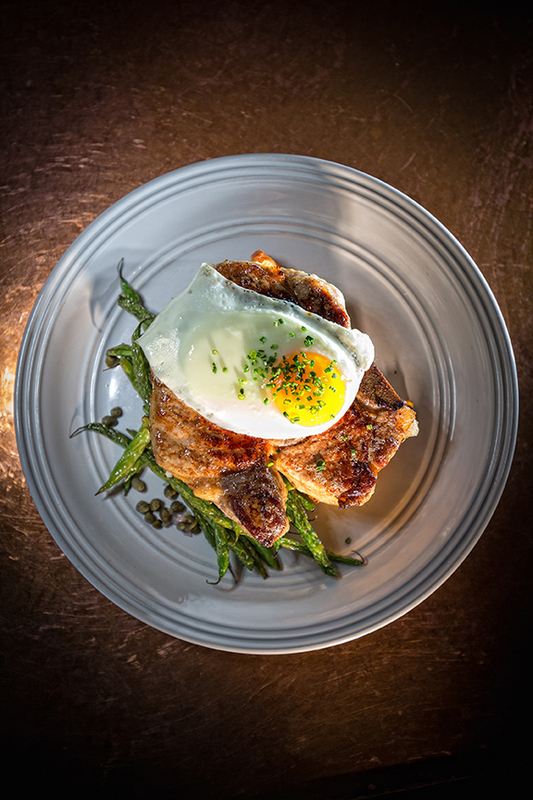 Pork porterhouse: This bone-in chop includes the meaty loin and a piece of tenderloin. Cleveland-Heath soaks the chops in a salty, sweet and spicy brine, then browns them during a quick sear and finishes them in a hot oven.